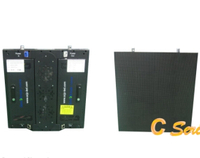 Pitch 5mm indoor LED display panel in RGB, P5 LED display module, indoor LED panel -LightKey Optoelectronics Ltd.
Indoor 32x16 RGB LED display panel with 5mm pitch and wide viewing angle. 1. 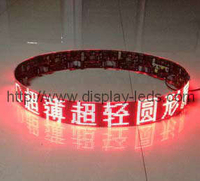 We use red, green and blue LEDs with the same grade of luminance within ±10% tolerance and wavelength within ±2.5nm tolerance to produce the indoor complete display within 30 square meters to guarantee the good consistency of the complete screen. 2. Viewing angles are wide with about 160 degrees horizontally and about 80 degrees vertically, and the picture doesn't distort and the color doesn't deviate at any angle. 3. 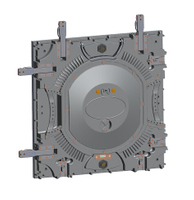 With the advanced and high-speed SMT technology, we have completely resolved the heat dissipation problem of high density in design. 4. 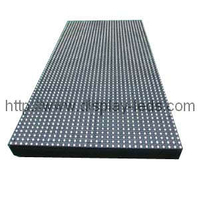 The LED display screen can be built up at the required size and assembled easily, besides the level-up degree is fine and the cabinet is nice. Having resolved the maintenance problem, the three-dimensional maintenance and the single pixel and LED maintenance have been really realized. 5. With high quality price ratio, the indoor SMD 1-in-1 full color video LED displays produced by LightKey have been extensively spreaded all over the market. The heat dissipation has been better resolved by using Aluminum covers for the SMD 1-IN-1 displays.